as you can see, i haven't been writing much lately. 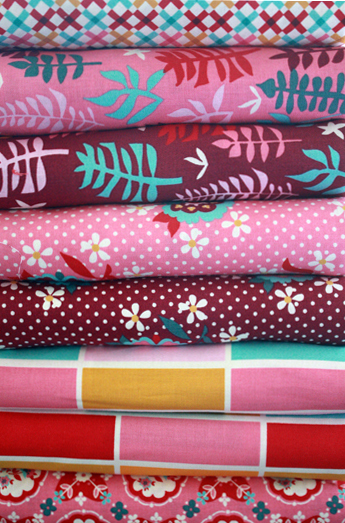 awhile back, while searching for some cool fabrics, i came across her blog... and, to my surprise, and luck!, she lives just a few towns over from me! what a small world! 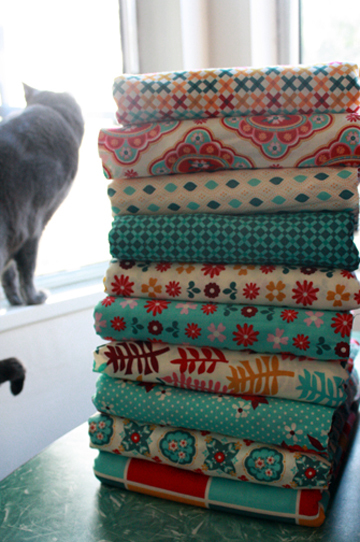 liz was kind enough to package up bags and bags of scraps of the super cool fabrics that she designs, and give them a new home, right here, in my own fabric stash. since then, i've used them in lots of my projects... like here... and here... and here... and i LOVE them! now, aside from her fabrics, liz has some pretty awesome taste... check out her finds when she goes thrifting. i've GOT to tag along with her one of these days. now that i say that publicly, don't you HAVE to let me, liz??? pleeeaaase???!!!??? and lastly, in addition to all that creative talent liz has, she's such a sweet person... and a lovely mama, too. since that meeting liz's wonderful home... we've kept in touch. i'm so glad our paths have crossed! and now, she has been kind enough to spread some of her creativity this way. with my first guest post... and my first giveaway! thank you, so much, liz! Hi, my name is Liz Scott and I am doing a guest post here today on A Happy Wanderer. Isn't it awesome when online friends become real life pals? That is how it happened with Heather and I. I am a fabric designer and Heather found my website and blog one day and contacted me about purchasing a few bags of my fabric scraps. Turns out we both live in Los Angeles and she was able to pick up the scraps in person rather than have them shipped. I knew from the moment she pulled up in her blue Prius that we were going to be friends. We have stayed in contact ever since, sharing play dates and birthday parties. Heather's grace and presence in parenting is downright inspiring and it does my heart good to see such a lovely family grow from three to four. 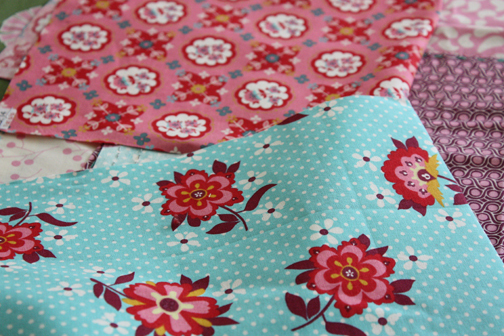 So, while Heather is busy with her little ones, lets talk fabric, shall we? I am a graphic designer by trade and love to sew and craft morning, noon and night. Somewhere around 3 years ago, I decided to switch my focus from paper products to fabric. I started designing, uploading and printing fabric with a service called Spoonflower and selling it in my Etsy shop. I was encouraged by the positive response that I received and realized I could get my designs out there to a larger audience if I licensed them to a fabric manufacturer. I contacted several of the bigger companies and Moda licensed my first line Sugar Pop! That was pretty amazing! And my second line Domestic Bliss is shipping to stores this month. Look for it in your favorite online fabric shops including Fabric Worm and Fat Quarter Shop. Would you like to win some? Awesome! Heather and I are doing a little giveaway. 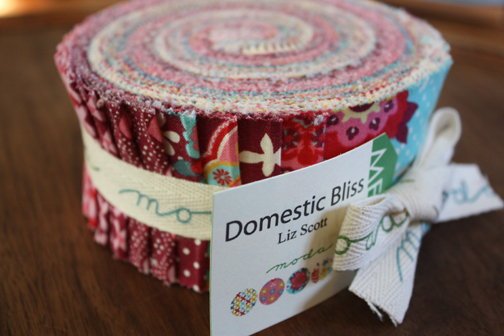 Leave a comment on this post (with your email address) and we will select one winner via random number generator to receive a Jelly Roll from the Domestic Bliss Line. We will close the comments on Friday the 16th at 5 pm PST and announce the winner on Saturday the 17th. 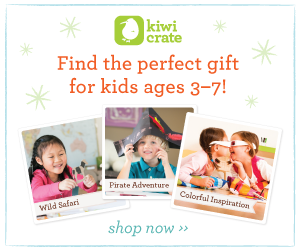 Be sure to check back to see if you have won! Felt in assorted colors. Wool felt is easier to work with, but I used a mix of both wool and synthetic here for the most color variety. 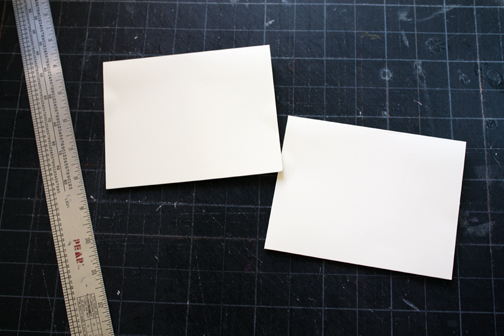 1.Cut card stock in half widthwise so you have two pieces measuring 8.5 x 5.5. 2. 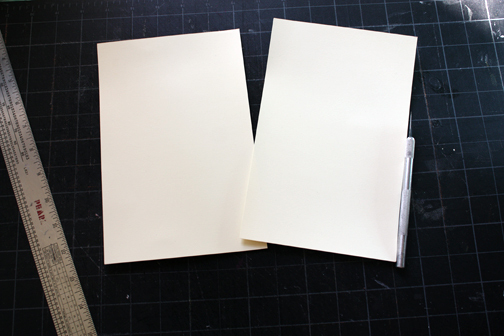 Fold each piece in half to make the card. 3. 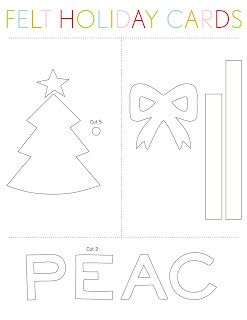 Print pattern pieces on a sheet of paper and cut them out. 4. Place pattern pieces right side down and trace pattern pieces onto felt using the Micron marker. Cut designs from the felt and turn over (this way you don't have to worry about any lingering marks from your marker) I like Micron markers because they have a superfine tip and offer better control when drawing on something as soft as felt. I use embroidery scissors to cut the designs from the felt because they have a small pointy tip and again, offer better control. 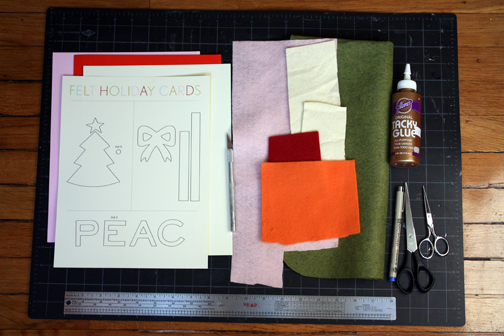 Arrange your felt pieces on the card stock. 5. 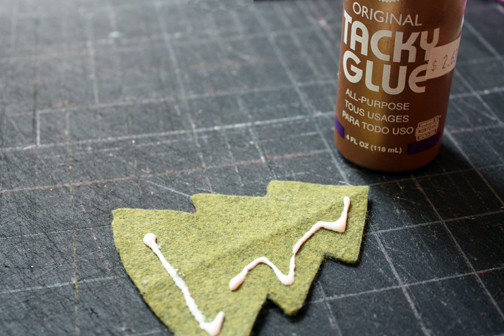 Dab glue on the back of the pieces of felt and apply to the card. No worries if you get a little messy with the glue, Aleene's dries clear. I love the stuff. 6. Allow your cards to dry overnight or at least for a few hours. Enjoy! 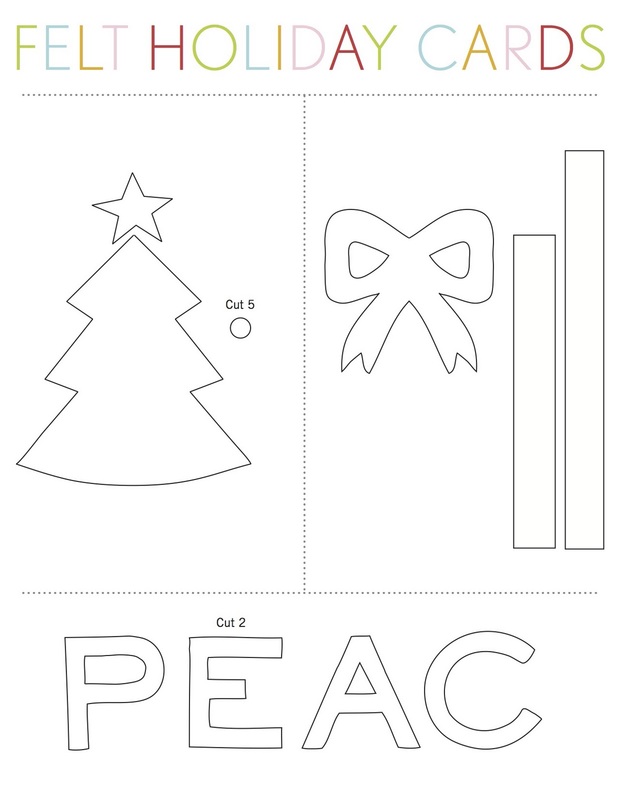 Try some of your own designs, too - gingerbread people, snowflakes, bells, ornaments, stars, etc. I truly wish you and yours a season filled with love, magic, joy, peace, warmth and blessings. thank you, so much liz, for your generosity! and for sharing such an adorable idea! don't forget to leave a comment with your email address... and check back on saturday to see who the lucky winner is! Love the felt cards. 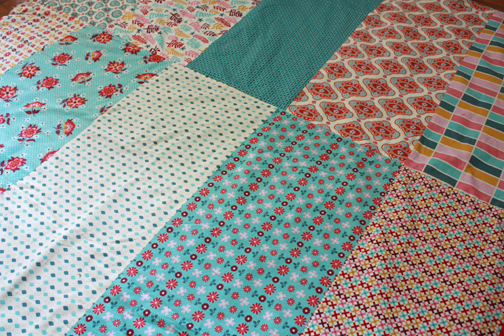 Your fabric is beautiful and as a long time quilter just love it. Great tutorial and I'd love to win some of your beautiful fabric! That fabric is so yummy! Thank you for the tutorial! 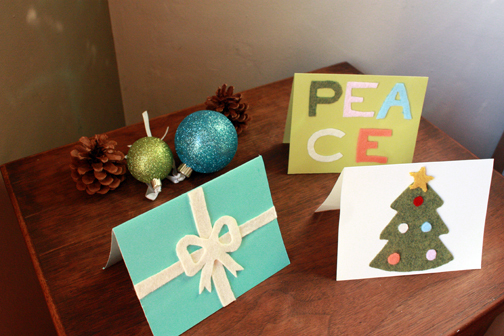 I really want to try making my own Christmas Cards next year - maybe this will be motivation! Wow, wonderful giveaway, thanks. Your fabric is beautiful. Beautiful fabric. Love the bright colors. Thanks for the giveaway. Beautiful fabric! 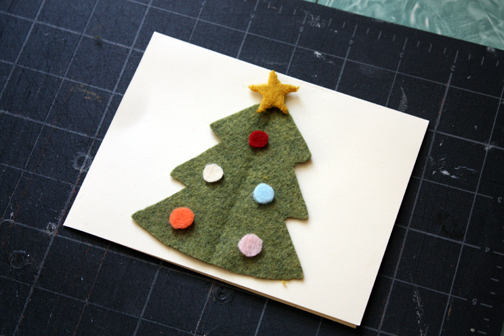 I love the idea for cards - I've been working a lot with felt lately and now I will have to do this with the kiddos. Brilliant! 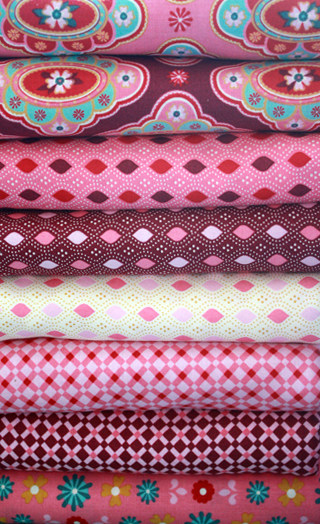 LOVE the fabric :drool: :) Thanks for hosting the giveaway! 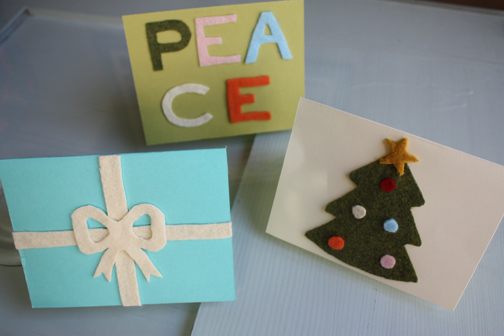 Cute cards too, easy enough for kids to help!